Historical Notes: New Digs: Ernest E. Starr Dental Anomalies. New Digs: Ernest E. Starr Dental Anomalies. In the 2009 August issue of Dental Bites there’s a full page article on Hidden Portland: Museums & Collections in which the Dr. Ernest E. Starr Memorial Museum of Dental Anomalies is mentioned. This exhibit has been the focus of much interest since the School of Dentistry made its journey from Marquam down to the Skourtes Tower on the South Waterfront. This collection is composed of a roughly 500 dental anomalies culled from patients seen by Dr. Starr and his colleagues. 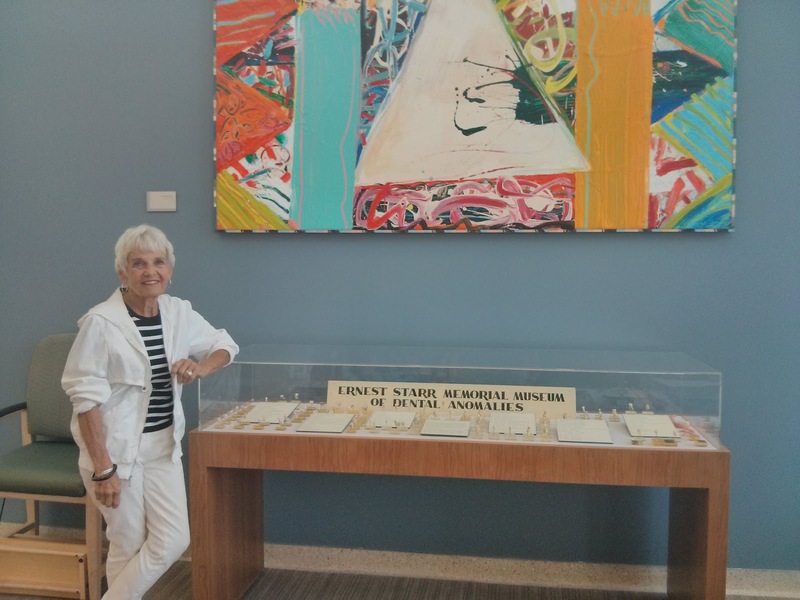 The assembled collection was displayed on the 5th floor of the old school (between the department of oral pathology and oral and maxillofacial surgery administration) and was a facet of dental life for many students and alumni. Dr. Henry Clarke was quoted as saying that this collection is one of the largest, if not the largest collection of anomalies in the United States. In 2014 I created an exhibit to chart the history of the School of Dentistry from its construction throughout its life here on Marquam Hill and finally its new location down on the South Waterfront. As part of this exhibit, which was on display in the BICC for the first 5 months of 2015, I included the Starr Anomalies. Once word got out that the anomalies looked great, interest was turned into action at the School of Dentistry and through the dedicated work of Mary Ann Haisch and Dr. Clarke a museum -quality display case was purchased with the specific intention of providing a new home to the dental anomalies. After months of work by Haisch and Clarke the case has arrived and is now sitting happily on the first floor of the Skourtes Tower, ready to welcome new patients. I want to thank Mary Ann Haisch and Dr. Henry Clarke for their tireless efforts to ensure that these priceless artifacts continue to have a spot in the sun (don’t worry, the case has UV coating) for future generations of dentists, their patients and anyone with an interest in unique teeth.